BioThrive Sciences gives our clientele the finest health and wellness supplements to market. In this day and age, people are becoming more and more health conscious and are savvy to what they consume and the effect it has on their wellness. In the fast paced society we live in, people are exposed to increasingly unhealthy things that can get in the way of a wholesome lifestyle. Consumers understand that fast food and a sedentary lifestyle can have negative and long-lasting impact. The best way to combat these issues is to live a healthy lifestyle, but sometimes even that is not enough. Sometimes our bodies do not fully absorb the essential nutrients and vitamins needed to ensure a healthy and active lifestyle. BioThrive Sciences’ line of General Wellness supplements can complement the body’s natural functions. With over twenty years in the business, BioThrive Sciences is a leader in supplements and nutritional health. Our products are GMP certified and are of the highest quality in the manufacturing industry. These ingredients, among others, can be mixed and matched to accommodate any target audience. Whether your business is big or small, BioThrive Sciences can accommodate any manufacturing order. 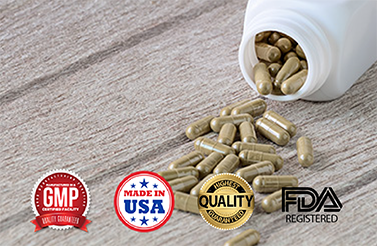 Contact our supplement experts manufacturing and formulation that is fast and reliable. BioThrive Sciences prides itself of friendly and efficient customer service. For more information, send a message online or call: +1 (844) 263-3657.